Finally! I'm the proud owner of a slow cooker. It has taken me some time to find, or rather, to make up my mind to know if I really really needed another appliance in my kitchen. I wanted one, thought I could use one (ha! ), Tante Pink told me I needed one, Ulrike was so very kind to mail me all kinds of recipes already... And since I got back to having a paid -parttime- job I decided I had an excuse. Of course I won't tell anyone that I could do just as well using the programming/timer function on my oven, prepare a casserole, put it in the oven in the morning, set the program and it automatically switches on, cooks and switches off at the set time. I asked around, searched the internet, looked at prices, brands and was even more undecided. Which brand? Which size? Ordering via Germany is way cheaper but the postage... Went looking for one when in Germany in February, no luck. Put the whole idea to rest. Then all of a sudden we had a child-less day and decided to go to Amsterdam, visit the special exhibition in the van Gogh museum, strolled around the city, had a leisurely lunch and of course browsed bookshops. I bought a slow cooker book. Strolled around some more, visited another bookshop, bought some more cookbooks. Slowly an idea formed...surely there was a cookshop here that opened on Sunday? The familiar ones didn't but on our way back to the car I remembered another shop, close to where I used to work back in the old days and yes it was open, yes they had a slow cooker. Just one brand, just one size. All my carefully researched ideas overboard, bought the one they had. The shopkeeper asked us to watch the store while he ran to the other side of the street to get it. We walked 2 miles with an ungainly package. Impulsive buyer? Me? That evening I made lemon curd (recipe to follow shortly), the next morning I tried my hand at lemonade. We all loved the flavour, there's still some left in the fridge and secretly I'm thinking of buying a bottle of wodka... wouldn't that be nice? All ingredients except tartaric acid together in the slow cooker pot, stir to dissolve almost all of the sugar. Cover and cook on high for 1 hour. Reduce heat to low and cook for another 2-3 hours until lemons are almost translucent. Switch off and stir in the tartaric acid. Leave to cool. 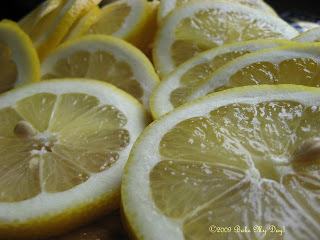 Remove and discard almost all of the sliced lemons, keeping a few and transfer cordial to sterilized bottle or jars. Seal well and store in the fridge for up to 1 month. To serve; dillute with water to taste, adding ice cubes and optionally add sprigs of fresh mint or lemon balm. Cheers! And... you are apparently álso the proud owner of a brand new looking blog. Nice. Never seen anything like this in a slow cooker but it sounds like, yes, it could use some wodka or even some white rum. Oh the trouble we can get ourselves into. You will love your slow cooker. That nice to use lemons that way. Ohhhh white rum! That's right here in the cupboard, will try right away! Fab .... I've often made lemonade, but never heated the lemons while doing so ... I'm going to try this, only I wonder how hot things get when the slow cooker is on high??? does it come to the boil? I like your style Karen, doubting forever about when and what and which and why... and then just grab the first one you see. I bet they are all just about equally good and I'm sure you won't regret it. 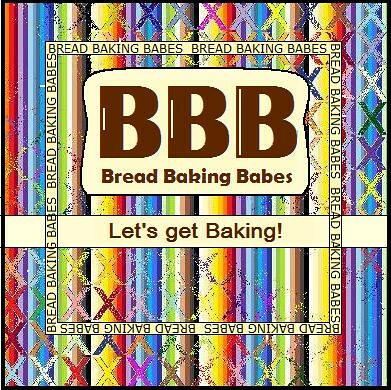 I'm sure with your creative mind we'll see lots and lots of lovely recipes from it! @Lien: you get it! that's just what I do all the time... so stupid! @ Joanna: no it never gets to the point of boiling, not even on high, it just simmers away very softly. Like making stock. Slow cookers are so handy! I have two, a 3L and a 5L. I might even get a 2L. I haven't made any drinks like this in it, just mulled cider. Looks great! Is tartaric acid the same as cream of tartar? I've been doing without a food processor, a Kitchenaid, and all manner of other appliances, but we had to have a slow cooker. How else can you make Pinto Beans? And ... we live in a country where "Mexican" just doesn't exist! Love the new look to go with the new slow cooker. 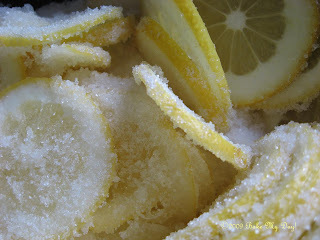 Waiting for the lemon curd recipe...that would be fab to do it in a slow cooker!